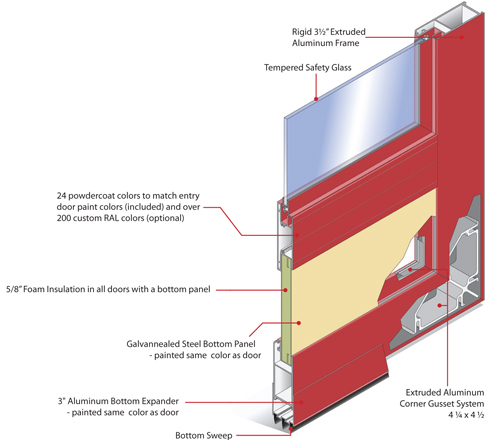 HMI takes durability to the next level by providing an extruded aluminum corner gusset system. This combined with .65″ thick high grade aluminum rails and kick panel create a stable door that resists twisting and denting. 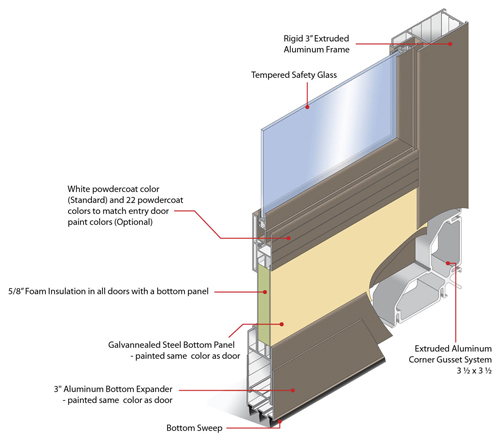 Offered exclusively by HMI, the Cam Lock System is one of the Elite™ and Classic™ Storm Doors innovations. 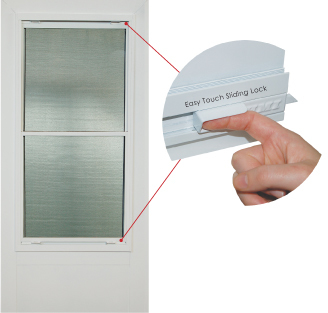 Our Cam Lock System is free of loose parts and accessories, giving the homeowner problem free operation. 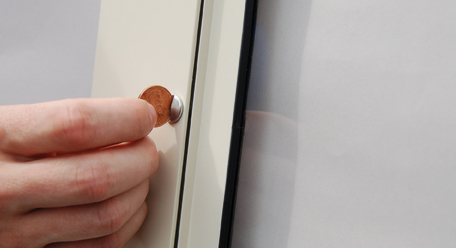 All the hardware is hidden inside the door frame, making it hassle-free to exchange your glass and screen. One quick turn to loosen and another one to tighten! All you need is a penny. Continuous extruded hinges, manufactured exclusively by HMI, surpass the quality and durability of anything else offered on the market. 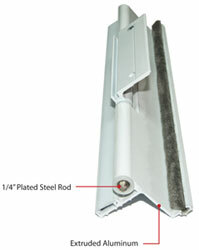 Extending from top to bottom, and reinforced with a 1/4” plated steel rod and nylon bushings, our extruded hinges will never sag or warp from the weight of the door. Occasionally, heat becomes trapped in between the storm door and entry door leading to condensation build-up or damage to the entry door’s paint finish. 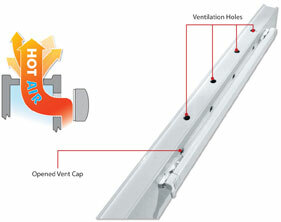 However, with the help of our Heat Ventilation System, the hot air is given a path to exit. On the top edge of the storm door are a series of holes and a vent cap that can be opened during the summer and closed during the winter.